Somalia Stick Flag - 4x6"
Somalia flags are intended to represent both the nation of Somalia and the Somalian people as a whole. 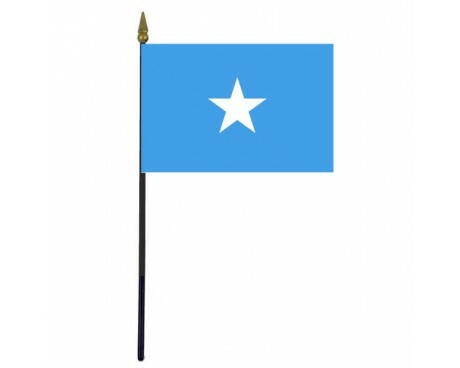 The modern flag of Somalia originated at the same time as the Republic of Somalia, which formed in the aftermath of the decolonization of Africa in the middle of the 20th century. 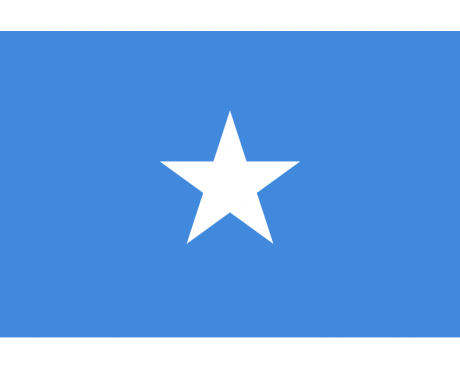 The flag of Somalia was adopted on October 12, 1954. It was designed by Mohammed Awale Liban. Upon reunification of Italian Somaliland and British Somaliland, the flag was used for the nascent Somali Republic. 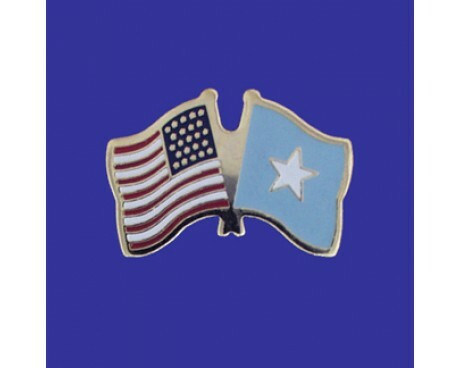 The current flag of Somalia is a bright blue field with a white star in the center. 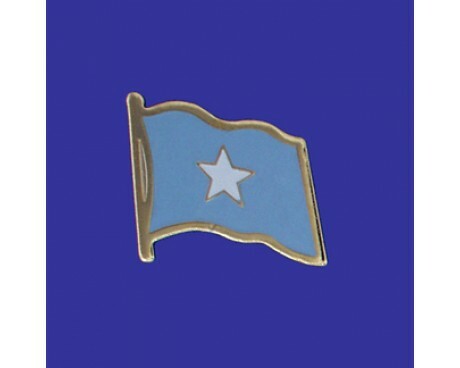 The white star has five points, one for each of the regions that the Somali people inhabited before the founding of the Republic of Somalia. The light blue field came from the flag of the United Nations, which played a significant role in the nation's transition to independence following decolonization. It is also interpreted as a symbol of the sky that stretches over Somalia and the Indian Ocean that reaches out from its coast and provides a significant portion of the nation's wealth. There have been many Somalia flags used in recorded history. The oldest are associated with the royal dynasties that ruled in the region prior to the colonial period. The flag of the Adal Sultanate was used between 1415 and 1577 in the area. It featured three sections. The hoist and fly sections were white rectangles with red crescents, while the central section inverted those colors. The Arjuran Empire also ruled part of modern Somalia. Its flag was a triangular design of red and yellow that featured a white crescent along the hoist. It was in use between the 13th and 17th centuries. A variant of the Ottoman Empire's flag was also used to represent another part of the nation between 1559 and 1867. It was a wide triangle with a red field and a yellow crescent along the hoist. The design was derived from that of the Ottoman flag. The 20th century saw more changes to the Somali flag. Parts of the country spent time under the rule of the Dervish State, while European nations also held power over parts of the country. Each of them had their own flag. The Dervish State a flag of layered red and blue rectangles, while the Italian and British colonies used variations on their standard colonial flags. Those flags fell out of use at the end of the colonial period. Somalia adopted the modern flag in 1954 and has used it ever since.